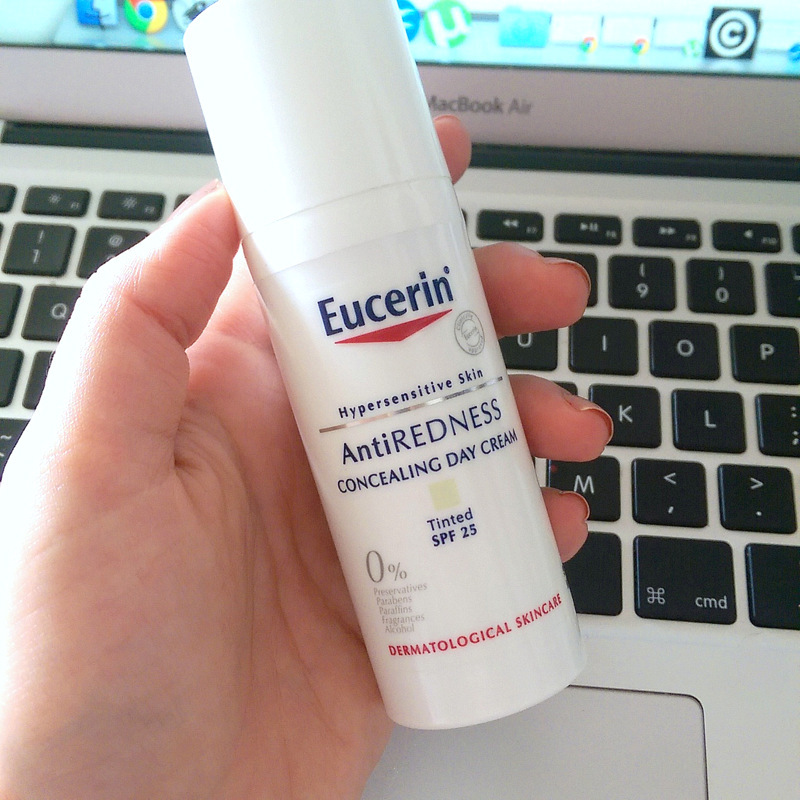 Eucerin’s new Anti-Redness Concealing Day Cream (R230) boasts a green tint in a bid to minimise the look of redness as well as an SPF of 25. I don’t feel qualified to ‘review’ this properly as I don’t suffer from rosacea or redness but I do want you guys to know it exists as an option. One of the formula’s ‘fabs’ is that it’s free of shizzle that could irritate sensitive, redness prone skin – things like fragrance, alcohol and preservatives. It also contains an ingredients called SymSitive to help instantly calm your skin. The way it works is kind of complicated, but you can read up on it over here. I like the fact that it’s been lab tested by Germans who don’t take kak from things that aren’t effective. I only von’t to hear von kliek, people! There’s also a bit of licorice extract in the mix that’s also a good calmative and, incidentally, can help diminish the appearance of pigmentation. You can see I don’t have redness to conceal but the purpose of the rubbed in shot on the right is to show you it doesn’t leave a caste. This morning I dragged my bleary self off for a prom walk but might still have had last night’s excessive amount of margaritas in me ‘cos I totally forgot to apply sunscreen. 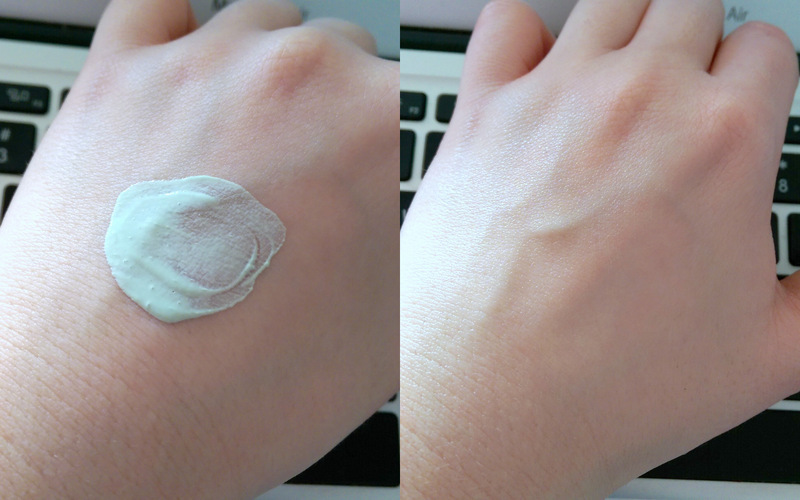 This has resulted in cheeks that are a bit pinker than usual (my face always burns fast as I’m fair as hell) and it’s hardly made me a good test monkey for a fair trial but at least I could slap this on and judge the redness minimising factor and, to be honest, it’s taken the glow off, but it’s hardly concealed it. If anything, it’s a hint of an Instagram filter, if that makes sense, so I’d suggest you use it as a wash then apply a green-tinted concealer to any seriously red bits. From a texture point of view, it feels very much like a very hydrating, slightly oil-textured high SPF sunscreen that would make it suited to drier skin types. Oily-skinned peeps, this one’s not for you. 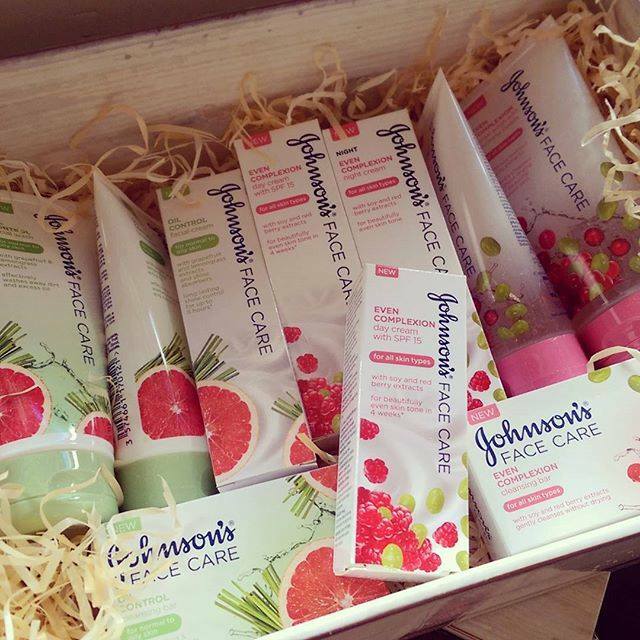 Next up, Johnson’s have extended their basic skin care range to include options for pigmentation-prone and oily-skinned peeps. The Even Complexion line promises to assist in busting dark marks in four weeks using a soy extract but has a rather low SPF (15) so I’d only consider this if I didn’t have serious problems. A big thumbs up for it being packaged in a tube, however, as opposed to a jar. As for the Oil Control line, this contains oil-absorbers to help keep you looking matte as the day goes on as well as grapefruit extract that, Johnson’s reckon, works as an astringent. Of the two lines this is the one I like best as its light lotion-texture formulated with a sprinkle of corn starch really does work towards keeping the oilies at bay. Just be sure to team it with an SPF. 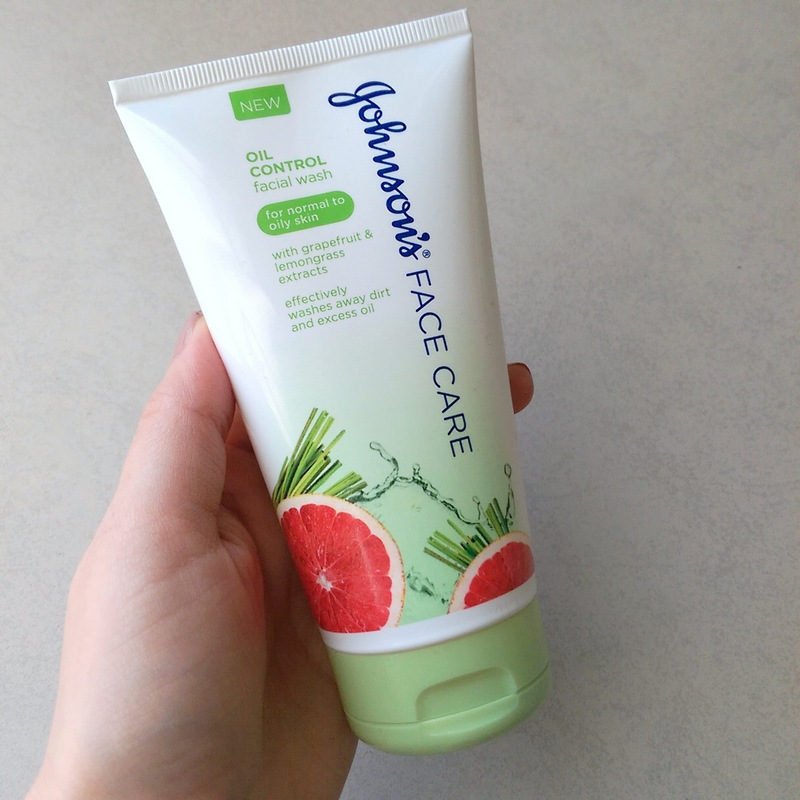 Of everything in the Oil Control line I most like the facial wash.
It’s got the most delish grapefruit scent that reminds me a helluva lot of Neutrogena’s yummilicious Pink Grapefruit wash but without the price tag. I wouldn’t call it a dupe, however, as it doesn’t contain the pore-exfoliating salicylic acid that Neutrogena’s does. 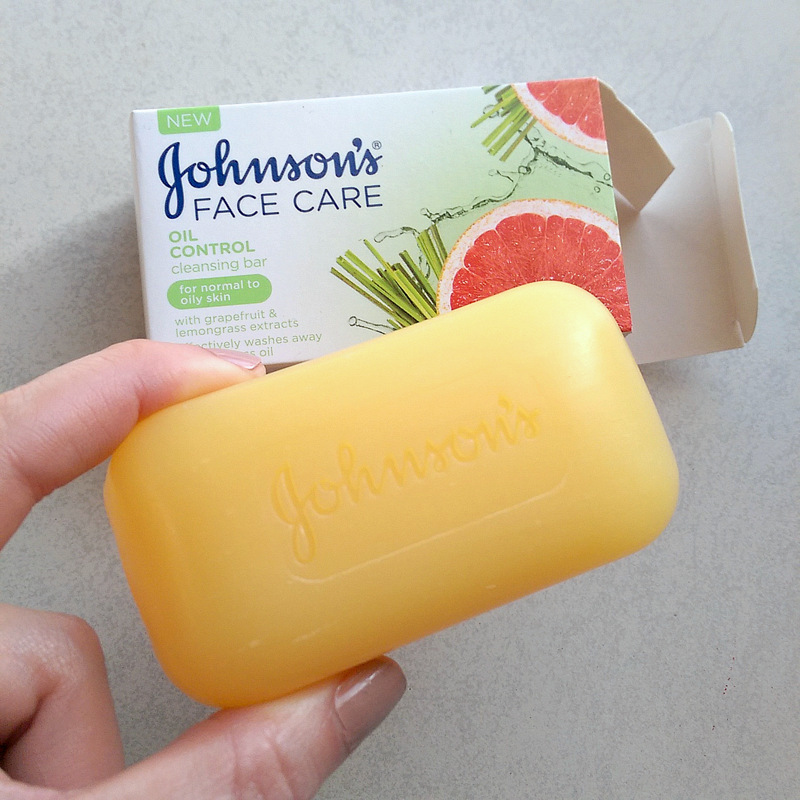 So, if you’re not spot prone, but love a fresh grapefruit scent, you’ll rate this a winner. I’m also enjoying the Oil Control cleansing bar (R13,95). I’m not using it to cleanse my face. Instead, I’m considering it a lovely, cost-effective grapefruit-scented shower soap for body. It doesn’t contain mattifyers – just the grapefruit extract – and has enough glycerine and palm kernel oil extract in it to not dry out your skin. 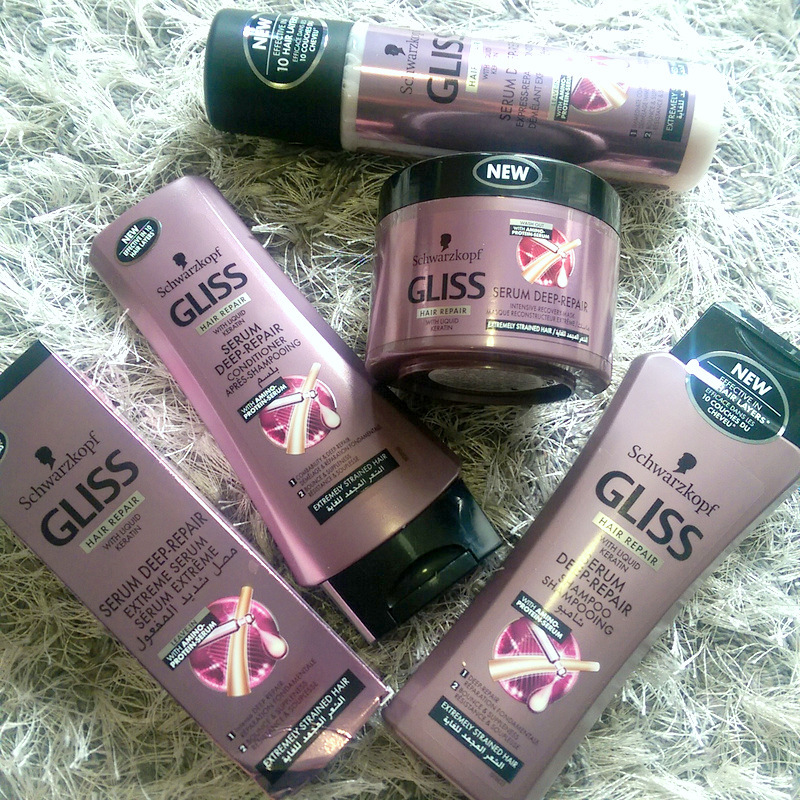 Last, but not least, Schwarzkopf Gliss (more German shizzle!) have a new line aimed at those with very stressed out, damaged hair called Serum Deep-Repair. Again, I’m not the target market so I’ll be handing this to someone who is and getting feedback. So watch this space! Prices range from R52,99 to R99,99. In the meantime, know that it’s in store right now so you can snap it up at Clicks. For the record, I’m a big fan of their Total Repair line (the orange and cream-coloured one) and find it’s the perfect amount of hydration and protein for my fine, colour-treated hair, especially after it’s just been freshly highlighted. The spray-con from that line up is a special friend in that it’s my favourite drug store detangler and if they ever stopped making it I might feel a little lost.